Did you know that 25.6% of children in Iredell County are Food Insecure! 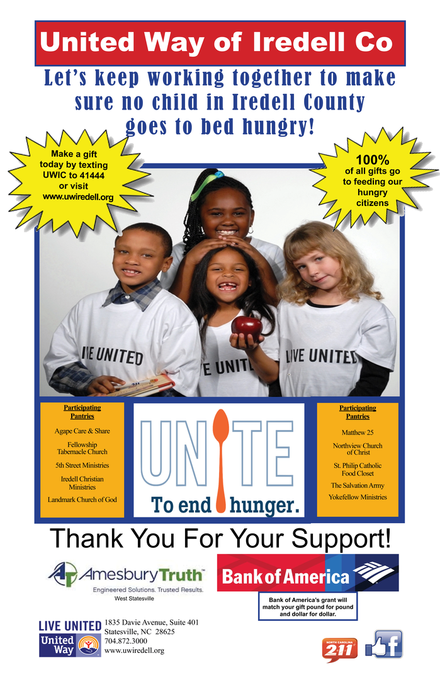 100% of all gifts go to feeding our hungry citizens! The 5th Annual Unite To End Hunger Food Drive is ready to kick off. Drop Off locations to be announced. If you would like to make a monetary donation please click on the button below.